Unfortunately, someone that feels that they need to work on finishing is actually working on something that has nothing to do with how well you hit the golf ball. As the golf ball isn’t influenced by your finish … the flight of the golf ball is directly related to how you impact it. Although typical golf instruction uses a “Theory” that if you practice your finish … you’ll hit the ball better — this is nothing but a “Theory” and is far from “Fact”. Because once you make impact with the ball … the ball is gone before you even begin your follow-through. And there is no truth that practicing your follow-through will help you to get into a better impact position! 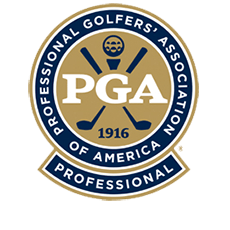 What we have found through the years and all the successes we’ve had with our Golfers is that if you work on Impact … you’re also working on making your follow-through and finish look better. But if all you’re working on is finish … all you’re working on is finish. Which is useless because your finish has nothing to do with the direction, distance or any aspect of your golf shot — as the ball is already gone. Yes, you see every PGA Tour Player finish their swing. But does that mean they’ve worked on their finish? Or could it mean that they’ve worked extensively on everything that happens before they hit the golf ball — with the goal of getting into a good impact. Thus, the smooth follow-through and finish that you see is just a result of all the practice they did on the earlier part of their swing. Where the problem lies with the average Golfer is that if you’re working on finish — you’re wasting valuable time trying to learn how to accomplish something that has no bearing on your shot. Such as making sure your belt buckle is facing the target – trying extra hard to rotate your shoulders all the way around so that your club finishes behind your back – as well as making sure all your weight is on your front foot at finish. And an article could be written on each of these techniques speaking about all the bad compensations (inconsistencies) you’re most likely making even before you get to impact because your attempting these Theoretical techniques. Where now you’re putting more effort into your golf swing after the ball is out of your control … rather than concentrating on creating the consistency needed prior to hitting the golf ball. How does a Tour Pro finish their swing? Simply because they’re swinging their Driver at over 115 mph! Their swing goes to finish because of the power they created moving into impact. Why aren’t you finishing? Because you’re putting less effort into what you’re doing before you hit the golf ball … and more effort into what happens after. Which means you’re not creating enough momentum to get through impact and into a natural finish. Rather, you need to manufacture movement after impact to get to finish. Once the golf ball is in the air … trust me, it doesn’t care what your finish looks like. Its your golf swing before impact that determines whether you’ll have a good looking finish. Yet so many Golfers get caught up listening to other people complaining about finish … that you spend all your time focused on it, but without seeing the benefit of improved consistency. This is because the real issue with your swing is happening well before the finish. Most Golfers in their attempt to manufacture a finish are creating additional compensations even before impact that is making it more likely that you will keep your weight on your back foot at impact, causing bad shots. And although these Golfers will have the majority of their weight on their front foot at finish (left foot for a right handed Golfer) … your weight at finish has zero influence on how well you hit the golf ball. It is where your weight is at impact that determines how far and straight you hit the golf ball. Ironically, it’s amazing that when a Golfer learns how to move into impact correctly … that they usually start to receive compliments from other Golfers about how well their finish looks.